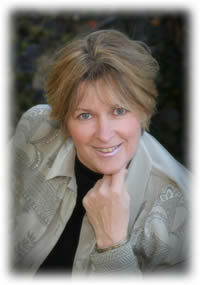 Karen is a practitioner and educator in the field of Hawaiian healing, spiritual and personal development. After personally experiencing the transformational effects of Lomilomi (Hawaiian bodywork) in 1998, she pursued the sacred healing practices of Hawaii to understand the profound nature of healing and ways to share the essence of true healing with others. As founder and director of Hunamua Wellness in Eastern Pennsylvania, Karen offers individual sessions, consultations and workshops to restore integrity and harmony to mind, body, soul and spirit. She holds training programs and retreats in the United States as a (NCBTMB) National Certification Board for Therapeutic Massage and Bodywork continuing education provider, and has developed a 160 hour diploma program focused on Lomilomi and the Hawaiian Healing Arts that is approved by the Pennsylvania Department of Education. Her 35 years of skills include a wide spectrum of traditional and non-traditional approaches to support a healing environment for full spectrum wellness, transformation and change. For her humanitarian service in the field of healing, Karen holds the esteemed Honor of Knighthood as a Dame in the Order of the Orthodox Knights of St. John, Russian Grand Priory under the Imperial Protection of the House of Romanov under Russian Grand Prior HH Prince Michael and Countess Bobrinskoy, Tatiana de Timasheff, Grand Dame of the Order. Our journey is one of self-realization and integration. By embracing our soul purpose and full potential, we bring ourselves to experience our totality … remembering who we are in the fullness of our being…and thus beginning our journey home.